Leroy Anderson’s Sleigh Ride is a Christmas standard and one that is easily recognizable by its upbeat melody, sleigh bells, clip-clopping, whip sound, and horse whinny. It’s been a hit ever since it was first recorded in 1949 by Arthur Fiedler and the Boston Pops Orchestra. But there’s more to this piece than meets the eye…or ears. Here are 8 cool facts that may make this one of your favorite holiday tunes (if it isn’t already). You’ve probably heard both the instrumental and sung versions of Sleigh Ride. The original is the orchestral version with no words and was composed in 1948. 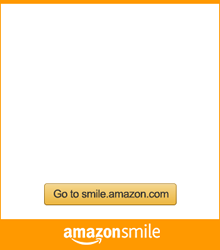 The lyrics were written by Mitchell Parish in 1950 and were first recorded by The Andrews Sisters that year. In 1946, Leroy Anderson and his family were in Woodbury, Connecticut staying in a cottage on his wife’s families land. He had been released from active duty in the Army and housing was in short supply. While staying in the cottage, a July heat wave and drought hit. Anderson began composing several tunes including Sleigh Ride which he envisioned as a musical depiction of winter long ago. He finished the piece about 2 years after his family moved to New York City – in the winter. As previously mentioned, the original version did not have words and since the title is simply Sleigh Ride, there is no reference to Christmas. Parish’s words also make no reference to the holiday. In fact, the only event mentioned in the words is a “birthday party” at the bridge. Some artists have changed the words there to “Christmas party”. ASCAP, the American Society of Composers, Authors and Publishers, has named Sleigh Ride the most popular piece of Christmas music in the US for several years including 2009, 2010, 2011, 2012, and 2015. It beat out other songs like “The Christmas Song”, “Winter Wonderland”, and “Let It Snow! Let It Snow! Let It Snow!”. 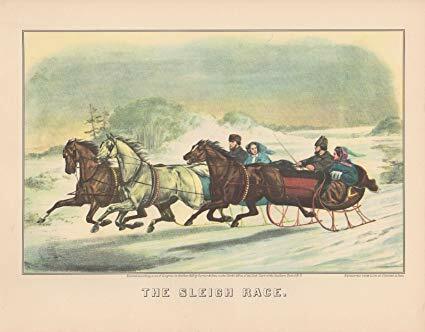 With Anderson’s permission, Sleigh Ride has been translated into French, German, Finnish, Swedish, Dutch, and Italian. Interestingly, in Swedish, “Sleigh Ride” is written as one word. So when they translate the word into English in programs, they often write the title as “Sleighride”. Like many other Christmas songs including “White Christmas”, “Rudolph the Red-Nosed Reindeer”, “Let It Snow”, and “Winter Wonderland”, the words to Sleigh Ride were written by a Jewish lyricist. Mitchell Parish was born to a Jewish family in Lithuania. His family emigrated to the US in 1901 when he was less than a year old and settled in Louisiana before moving to New York City. There is a line in the song that’s meaning may be obscure to most today. “Like a picture print by Currier and Ives” refers to a printmaking company that produced hand-colored lithographs of popular artwork of the 19th century. 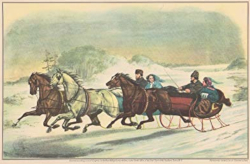 The image we used in this post is called “The Sleigh Race”. The company closed in 1907, 43 years before the song lyrics were written. Sleigh Ride includes a famous horse whinny five bars before the end. The whinny is produced by a trumpet. 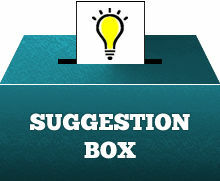 Since the effect is near the ending, a joke with a humorous effect is occasionally played on trumpet players and, sometimes, the percussionists. When they rise for the applause, they are often presented a bunch of carrots in lieu of roses. Hear us perform Sleigh Ride on December 1 at 4:00 PM at the PACE Center. This entry was posted in Holiday and tagged holiday, seasonal by Shari Mathias. Bookmark the permalink.